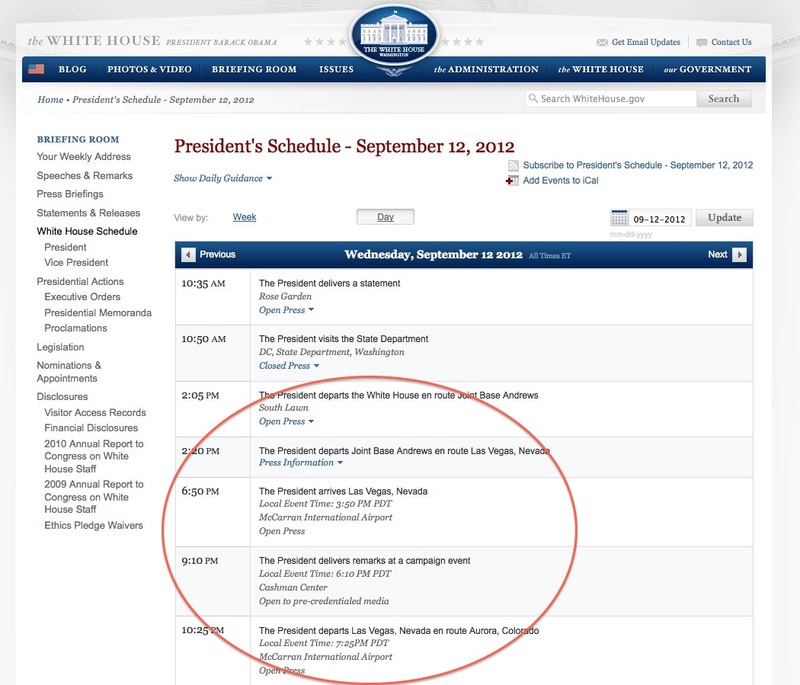 Despite the death of our ambassador in Libya and the attacks on our embassies in Egypt and Tunisia, President Barack Hussein Obama will leave to campaign in Las Vegas later today. Apparently campaigning is more important. I wonder if he squeeze in a round of golf as well….